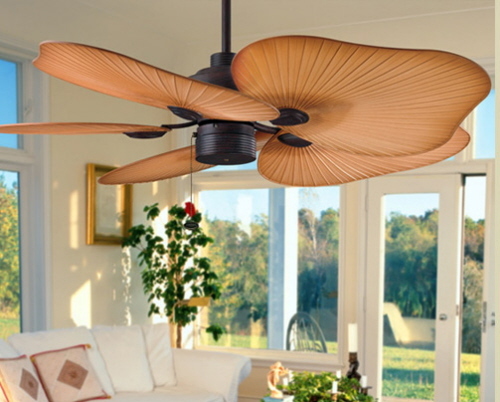 In Hawaii ceiling fans are a must have element to your home decor. Whether it’s the middle of a hot Summer night or a humid Winter day, ceiling fans help to cool the space or area. A wide variety of styles and functions of ceiling fans are available. Decide what area of the house will need a ceiling fan; outdoor lanai, kitchen, living room, bedroom. How much space do you have between the ceiling and floor? This will help to determine if you need a small room, low-profile, or large room ceiling fan. What type of design or finish fits your homes décor? Bronze or silver finishes, white fans, five blades or three blades. What amenities? With lights, energy-efficient, or with remotes. Deciding on a color scheme for your home can be easier than you think. Consider your room size, how much natural light the room receives, and the style you desire to create the perfect atmosphere. Painting a room a dark color can make the room feel smaller and painting with a light color larger. If the room has a lot of natural light, then the wall colors will change throughout the day as the sun shifts. Before ordering all your paint, take swatches or paint samples to test in different areas of your home. The paint it self will almost always look different in the room then what you picture. Lighting and room size can make it different. 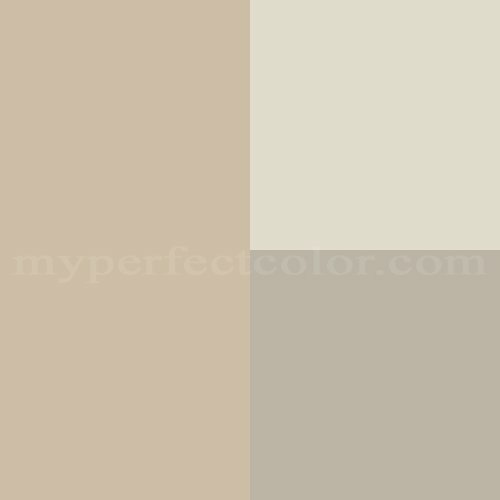 Benjamin Moore Paints helps to make your decision easier when choosing a color scheme for your home. Their website allow for you to browse colors by the room type – living room, bedroom, kitchen, kids’ room, bathroom, dining room, home office, and entryway. If you already have a color in mind like neutral, then you can also browse within that color family. How to Choose the Perfect Dishwasher for your Home? Which JELD-WEN Window is Right for You? Viking professional 7 Series Gas Range is from the Viking Professional product line. This product is perfect for the chef in your family. It’s used to create a restaurant quality range that delivers power and precision to your home. Kenmore French door bottom-freezer stainless steel refrigerator has lots of storage. It offers a unique and innovative design with the easy access, tilt drawers, specialty lights and sliding shelves. Not to mention it's Energy Efficient! This Professional full-height 30” wine cellar provides horizontal storage for up to 150 bottles. Three separate temperature zones are available with a special temperature controlling storage system. Full-width shelves pull out for easy access for all different size bottles. According to Bosch.com their compact washing machine can wash 5 men’s dress shirts in just 15 minutes and their compact dryers can dry 5 men’s dress shirts in 15 minutes! Bosch offers the fastest washing and drying cycles on the market. Kenmore French door bottom-freezer refrigerator has a lot of storage available for all your necessities. There are adjustable shelves, humidity controlled crisper drawers, multiple size drawers and a pull out freezer. This is an energy efficient product as well. KitchenAid 5 element electric cooktop is designed to provide heat evenly. With a sleek design, it will easily fit with in anyone’s kitchen design. Bosch pocket handle dishwasher offers three areas for loading dishes with the possibility of different rack positions. With a sleek stainless steel design, it can fit into any kitchen design and budget. Bosch dishwashers are known for their quietness. Kenmore front-loading washer and dryer are energy efficient products. They offer multiple cycle options, different speeds and temperatures to accommodate any wash load. Not to mention they are extremely quite. Bosch ventilation for under a cabinet has a professional design and stainless steel finish. It has easy to use controls and the mesh filters are dishwasher safe. It's time to tear out that old linoleum floor and upgrade with beautiful hardwood! Hardwood floors are so easy to clean and take care of. Plus it comes in a wide variety of different wood, so it can fit in any budget. Bamboo flooring is a popular type that is fairly inexpensive but will still look and feel the way you want. Homeowners enjoy Bamboo because of the durability and it's eco-friendly. It can also add a unique look and adapt to any decorating style. Bamboo flooring can be dyed into a variety of colors or it can come in natural, finished or unfinished. When it come to maintenance, Bamboo floors can be fairly easy to maintain. A simple vacuum or sweep regularly will help remove the small debris. Occasionally you can mop or clean it with a hardwood or bamboo floor cleaner. However, it's important to clean up after every spill so the liquid doesn't damage, stain or warp the flooring. There are many other types of hardwood floors available. Take a look at these others, Mahogany, Chestnut, Oak, and Maple hardwood. How much space do you have? Dishwashers come in a variety of different sizes, full size and compact models. Be sure to choose the proper size depending on the size of your kitchen space. Keep in mind the dishwasher will need to be connected to a water line. Research. Shopping for appliances requires researching what will fit within your budget, style, household, and user satisfaction. I would suggest start shopping online or visit your local appliance store to gain knowledge about the specifics before you purchase. More amenity options mean higher cost. The more options available for different washing, rinsing, and soaking cycles, generally the higher the price. It's more complex than your basic model. Also, think about water and electricity consumption. Higher price does not always mean the best product. Other types of dishwashers. Instead of your traditional full size dishwasher, there are also drawer type dishwashers. This allows for washes to be done in a smaller load and in a drawer setting. Drawer dishwasher may be seen in a high end home with usually a full size dishwasher as well. Portable dishwashers are also available on the market. Overall do your homework to work with in your budget and inform yourself on what types of dishwashers are on the market. Don't forget to use these tips to help choose the best dishwasher for your home!